In view of the complete dysfunction of the management system put in place by the Australian Government during the period 2008 – 2012 and the subsequent decline in trekker numbers it is timely to review the essence of the report as it is still relevant. 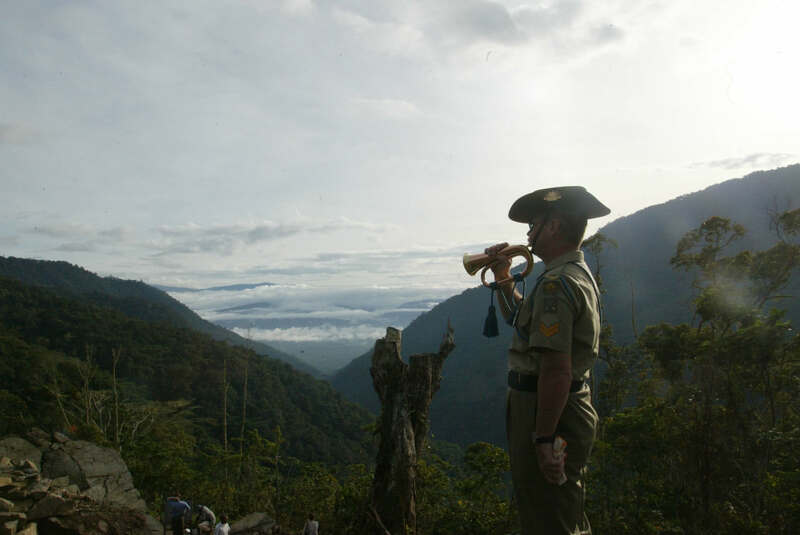 ‘The Kokoda Trail is a world class heritage site. It is currently Papua New Guinea’s top tourist attraction and; it is a place of significance for Australians due to the military actions of 1942. ‘The heritage significance is derived from its cultural diversity, its natural biodiversity and untouched beauty and the Military heritage of WW2. ‘In October 2007 the Australian Government approved $15.8 million dollars in funding to assist Papua New Guinea “to protect the Kokoda Trail”. The Joint Understanding Kokoda Initiative (2008) has focused on health, safety and education on the trail itself – arguably with limited success. ‘In 2010, the Independent ‘Howes Review of aid funding’ recommended that “future funding build on demonstrable success”. 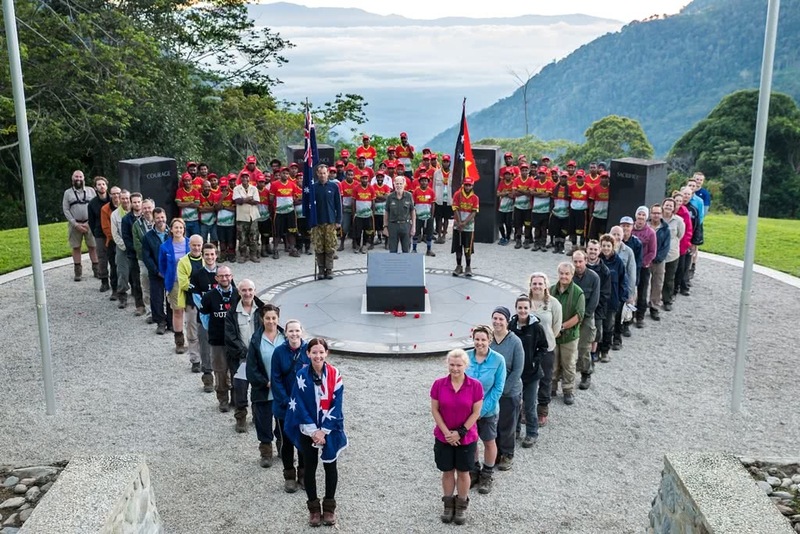 Kokoda is one of those success’s, with a fledgling trekking ‘industry’ is largely derived from the significance of Heritage that is Kokoda, to Australians. ‘Whilst the broad elements of a development strategy appear an inclusice part of the Kokoda Initiative, a documented and endorsed Heritage Plan would appear notably absent; notably as the trails village sustainability and its fledgling trekking industry are directly related to the Heritage. How this heritage is communicated and how it enhances the ‘significance of place’, whilst enshrining and protecting the core values inherent in the environment are key questions that are considered in this report. ‘The Kokoda Trails’ military heritage has an important place in Australia’s history that has been recognised by past governments. The ‘story of Kokoda’ has attracted significant interest over the past 10 years evidenced primarily in trekker numbers on the Trail itself and sifnificant literature sales. However, in stark contrast the Papua New Guinea contribution to the Kokoda battles, affectionately remembered in Australia, as the ‘Fuzzy Wuzzy Angels’ is largely absent from literature, and is slowly being consigned to memory alone. Unfortunately for PNG the heritage inherent in Kokoda has become ‘a local commercial benefit’ through trekking rather than a shared national cultural heritage experience. ‘International examples show that Heritage and protection of heritage is generally underpinned by a formulated site specific Heritage Plan. Typically these documents constitute a foundation from which sustainable practices of development and tourism are derived. A heritage Interpretation Plan is considered the key mechanism for delivering Cultural and Natural Heritage for the sustainable benefit of the indigenous population, the environment and the visitor. 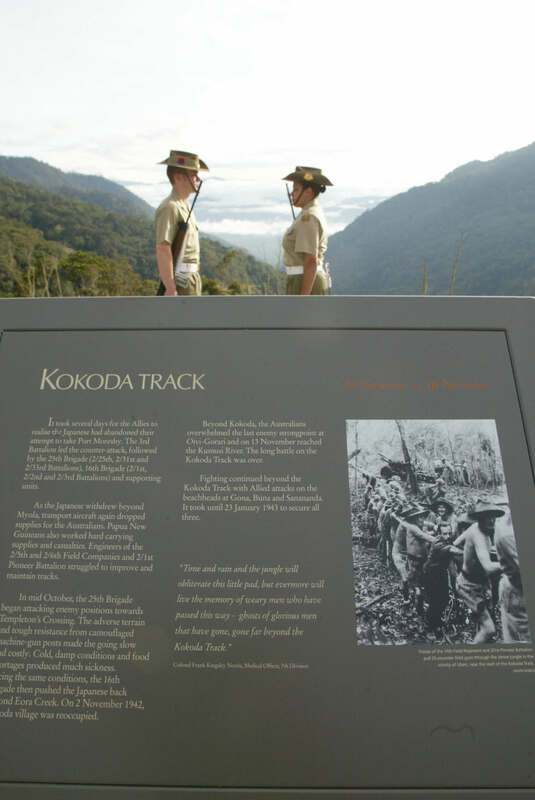 ‘Currently, The Kokoda Trail has no Heritage Interpretation Plan, there is no Natural Heritage interpretation plan on the Trail; there is no Cultural and Natural Heritage interpretation on the Trail, generally military heritage interpretation has been installed by private ‘donors’ , is poorly built, and in many cases shows significant factual inaccuracy. In effect, a deleterious environmental effect is in evidence. ‘The report seeks to establish the reasons, benefits and tangible outcomes that are derived from establishing a Heritage Plan for the Kokoda Trail and the costs associated with its implementation. ‘Despite the Papua New Guinea War commitment being over 50,000 men, this significant history has not devolved to a shared history that is able to galvanize a nation or contribute to t a national sense of shared experience. Sixty years after the events there are few (if any) scholarly or popular accounts that cover the range of experiences of the Papua New Guinean people in the War and relate them to a broader context[iv]. For a nation with a village based population of under 700,000 people. In 1939 the commitment of 50,000 men was enormous. Whole communities were dislocated if not decimated. The War transformed Papua New Guinea. Where there had been 8000 foreigners in 1939, approximately 1.5 million (mostly military) had passed through by 1945 and over 200,000 had died there. Yet the experience to this day remains largely out of public sight or memory for most people of Papua New Guinea. ‘The difficulties faced by Papua New Guinea in trying to transform historic events into shared national experiences are illustrated in the many attempts to simply find a day as a means to commemorate the War. In the 50’s and 60’s Anzac Day was a national holiday. However in 1975 it was deemed inappropriate to a newly independent nation as the references to the Turkish coastline and the Imperial Forces gave little relevance to Papua New Guinea people. ‘Searching for a day that Papua New Guinea people would remember , the new Government chose August 15th, the day the war ended. It was an internationally siginificant day that held little for the people in Papua New Guinea. Papua New Guinea ex-servicemen disliked it: a day that celebrated peace had little time for remembering battles, tributes to comrades and commemoration of the supreme sacrifice. Papua New Guinea leaders continued to make somewhat grand statements about the significance of the July 23 and a National Holiday – with few of their people understanding why. Then in 2004 the Papua New Government declared that Anzac Day 25 April would again be a public holiday. At the same time 23 July is termed ‘Remembrance Day’. Debate continues as to the form of ceremonies which have invariably become simply sporting events or for many just another working day. The number of Papua New Guineans serving during the war is almost impossible to determine. On the Kokoda Trail the approximate figures are known – these men and women became known as The Fuzzy Wuzzy Angels. 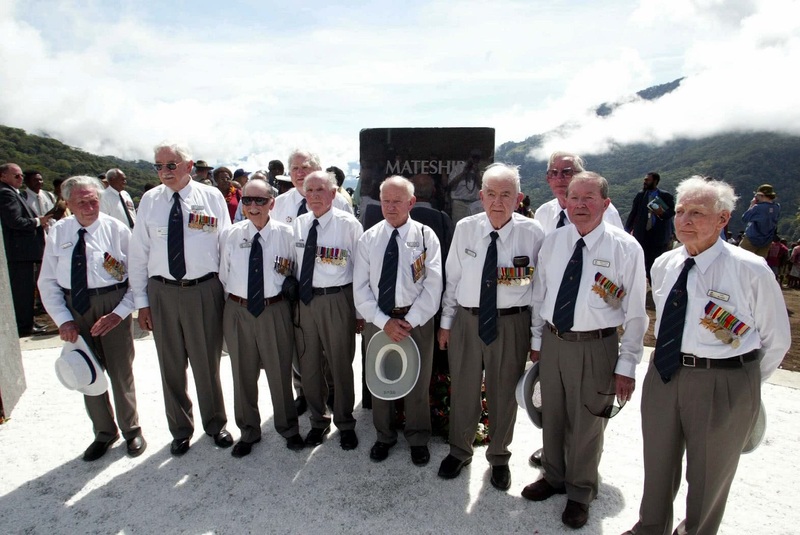 In their retreat from Kokoda to Imita Ridge from July 1942 the Australian forces numbered fewer than 3000. Popular media reports of 50,000 Papua New Guinea carriers are simply incorrect, as this figure is broadly derived from the rounded figure of the maximum number of carriers used by the Australian Army at any one time. It includes men working everywhere from Lae to Milne Bay in all categories of employment. A total number of 3000 on the trail itself can be substantiated however a figure close to 1700 at the height of the campaign is considered more realistic. The question of who the carriers were and where they came from is perhaps more important. This question and a definitive answer remains unknown. This is largely a result of a lack of scholarly research and/or an interest in a shared national history. The facts are not known therefore the history has eroded if not simply vanished. Whilst the term Fuzzy Wuzzy Angel is known in Australia it is largely forgotten in Papua New Guinea. The Kokoda Trail and its heritage have an important place in Australia’s history that has been recognised by past governments. The ‘story of Kokoda’ has attracted significant interest over the past 10 years evidenced primarily in trekker numbers on the Trail itself and literature sales. The Papua New Guinea contribution to the Kokoda battle affectionately remembered in Australia, as the ‘Fuzzy Wuzzy Angels’ is largely absent from interpretation or commemorative elements on the Trail. The Trail history for Papua New Guinea is largely forgotten and has become a ‘local commercial benefit’ rather than a shared national cultural heritage experience. In early 1945 General Thomas Blamey initiated a scheme for a series of historical monuments to be erected throughout Papua New Guinea to commemorate the Australian Military Forces’ achievements during the war. 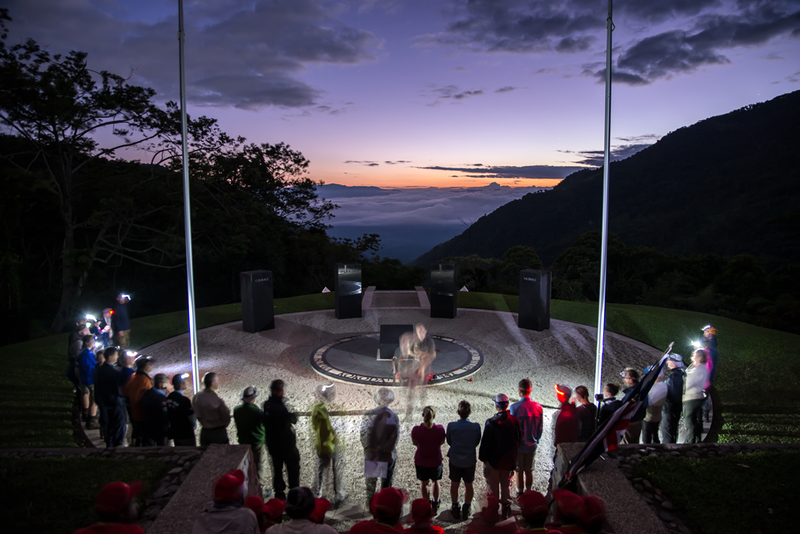 When the first large pilgrimage of veterans returned to Kokoda on November 1967, to mark the 25th Anniversary of the re-taking of the village, the commemorative program was centred on the Kokoda Memorial and parade ground. 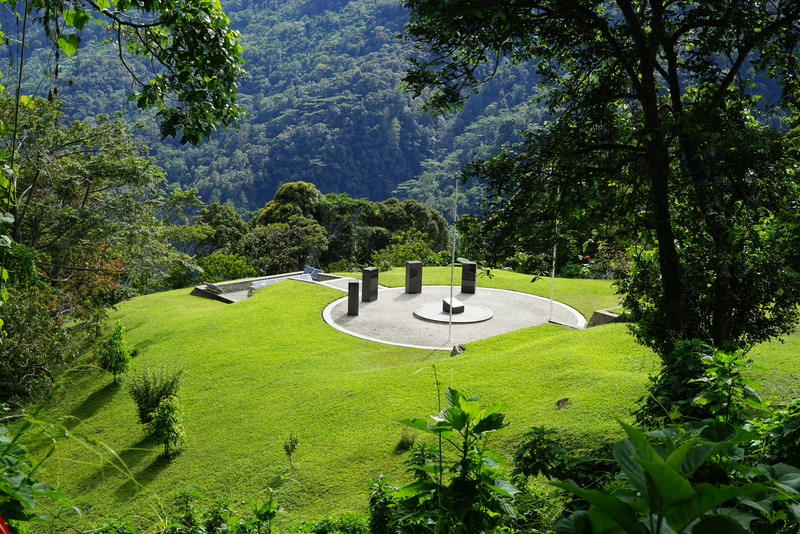 Alongside the Kokoda memorial is the Memorial of the native carriers of the Kokoda Trail, also called the Papuan carriers’ memorial. This memorial, initiated and funded by Bert Kienzle, was dedicated on 2 November 1959. A third memorial was built by the Japan-Papua New Guinea Goodwill Society in February 1980. It was dedicated to all of the campaign’s war dead (Japanese, Australian, and Papuan). There are also other commemorative plaques in the station’s grouinds. 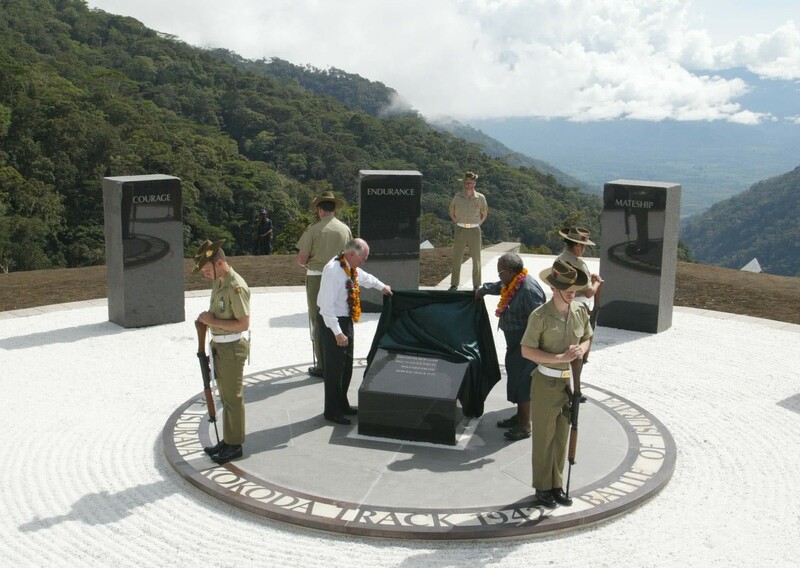 In 1995 Prime Minister Paul Keating and Julius Chan opened a memorial museum in Kokoda, named after Bert Kienzle. The Kokoda ‘Memorial Museum’ is a small shed containing information panels. The ‘Museum’ features static interpretation and photographs. It is aging and rarely open. A large unauthorised steel girder structure was constructed at Owers Corner and another (dubbed the McArches) at Kokoda. Neither structure was approved by the PNG government or any other authority. Neither structure is appropriate for the surrounding environment. Brigade Hill is the site of one of the major battles of the Kokoda campaign. The site offers majestic 360 degree overlook views across the Owen Stanley Ranges. Significantly it is one of the few locations where trekkers are able to visualise the scale of the fighting. The site features a bronze plaque installed by private donors. Commissioned by the Commonwealth in 2002 the Isurava Memorial features both commemorative elements and significant bilingual interpretations. Owers Corner, as one of the gateways to the Trail (the other being Kokoda) offers visitors a spectacular overlook. It is regularly visited by non-trekking visitors from Port Moresby who day hike to the Goldie River. For trekkers who start (or finish) at Owers Corner it is a special place for quiet reflection. There is little in the way of explanation as to the sites cultural, natural or military heritage. Generally across the Trail the nature of interpretation is that of singular small elements installed on an ad hoc basis over time. The sponsors/installers are on the whole well meaning enthusiasts. (It should be noted that without considerable efforts of these individuals that the Trail would have little commemorative features or interpretation.) 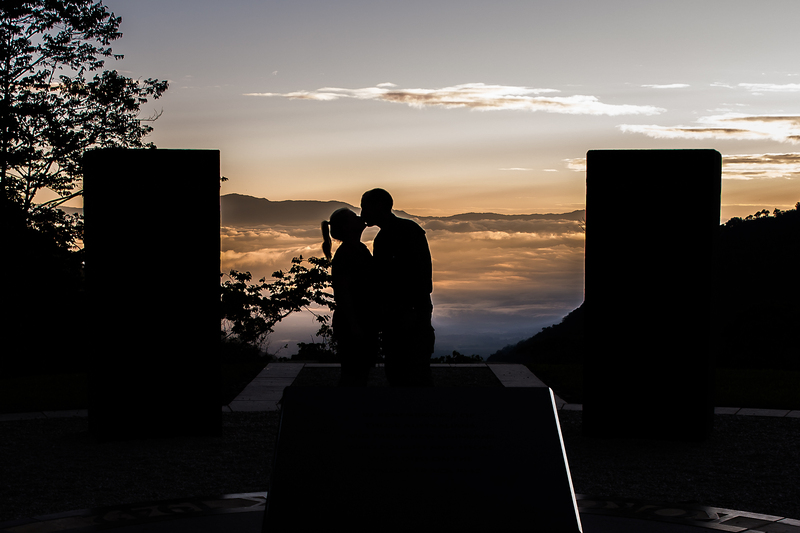 The Isurava Memorial and Kokoda museum as government sponsored sites are the exception. Isurava features both commemorative elements and bilingual interpretation. However it should be noted that Isurava is only accessible by trekkers and is battle site specific. The ‘Museum’ at Kokoda is an information building and whilst functional the interpretation is showing signs of deterioration consistent with its age. With the exception of Isurava and Kokoda Parade Ground/Museum – Military Heritage Interpretation across the Trail is either in poor condition, is inconsistent, inaccurate or non-existent. The 75th Anniversary of the Kokoda battles provides a sound focus for implementation that is achievable should funding be made available consistent with the time frames noted. What do you think? Have your say here. Charlie, have a look at my linkedIn profile and you will see a file called: “2018 career and yearly activity” which will show you my background and current work/projects. As an aside, my wife and myself spent our two week honeymoon in Jan 1973 trekking around PNG!! I will send more details to your website. Thank you Paul – will check it out and be in touch.